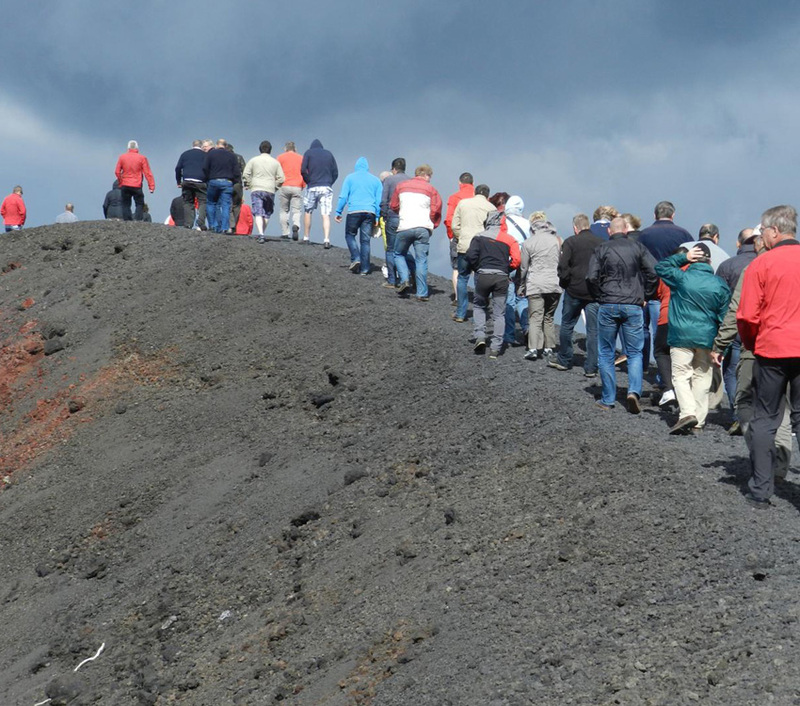 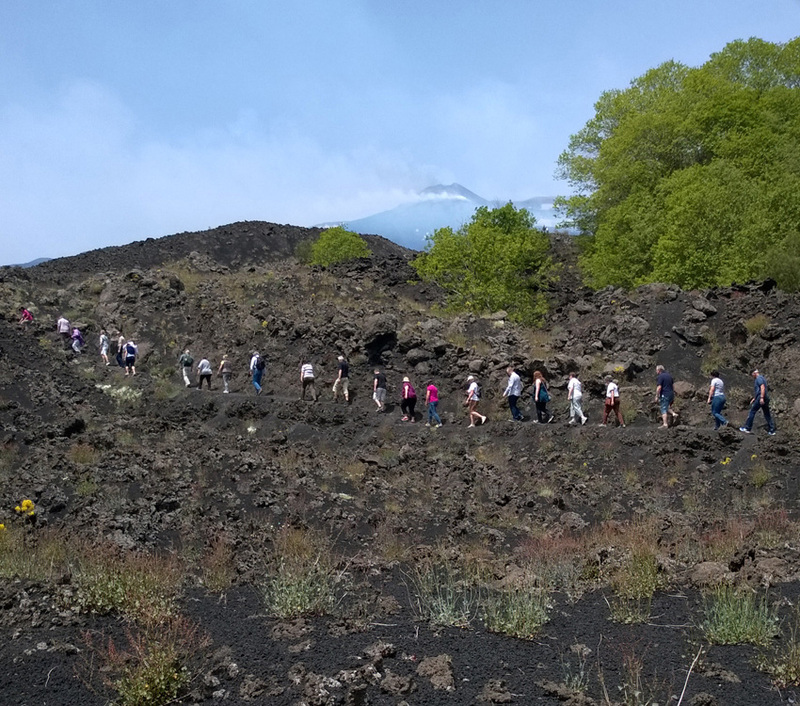 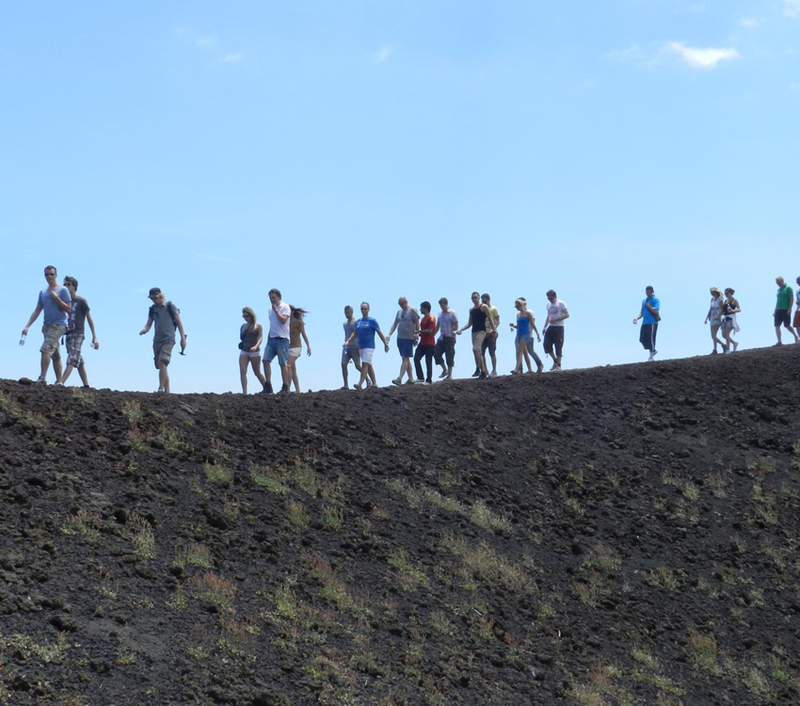 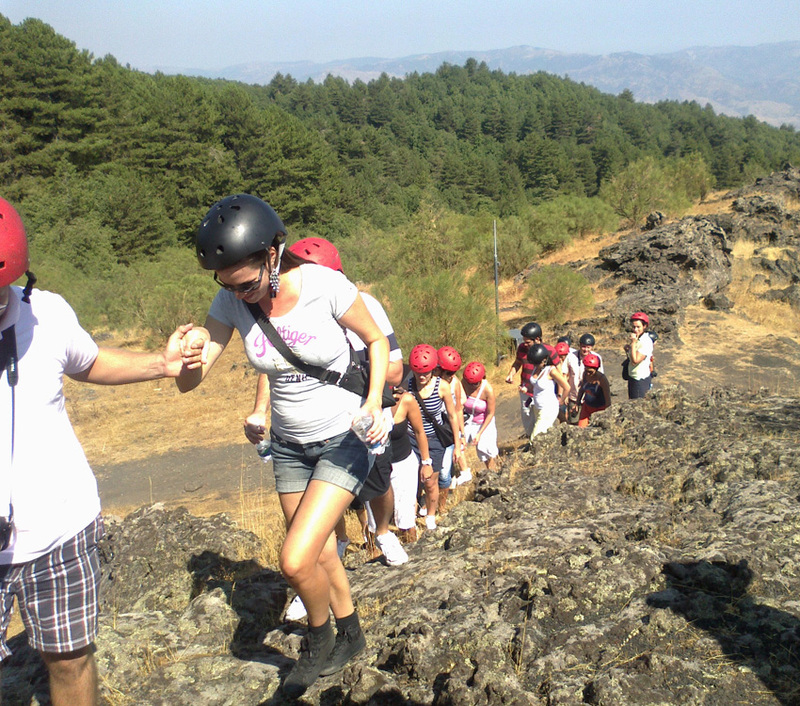 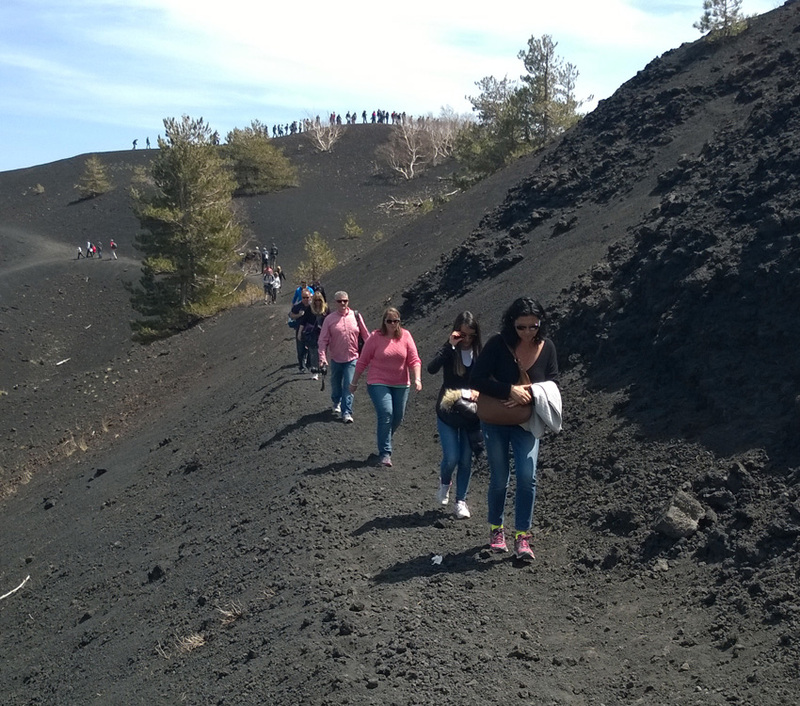 Etna Excursion, with its instructors, makes this activity more enthusiastic and motivating, binding ecorunning and orienteering (only for MICE market and predetermined groups) with team building, providing assistance and technical material on the territory. 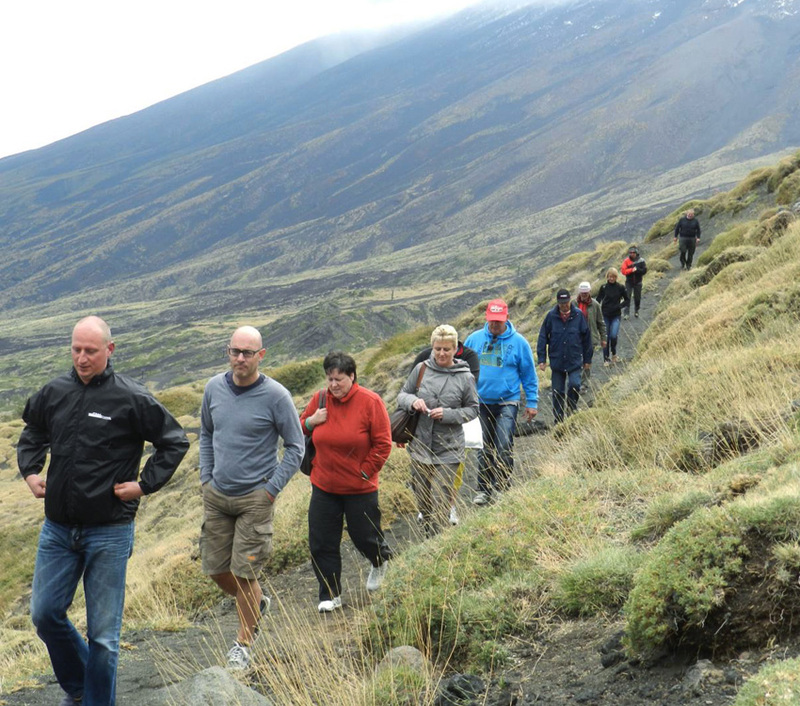 Trekking it is a form of activity based on walking in the territory with short, medium or long distances on roads, paths or traces, also variously equipped or outside fixed paths. 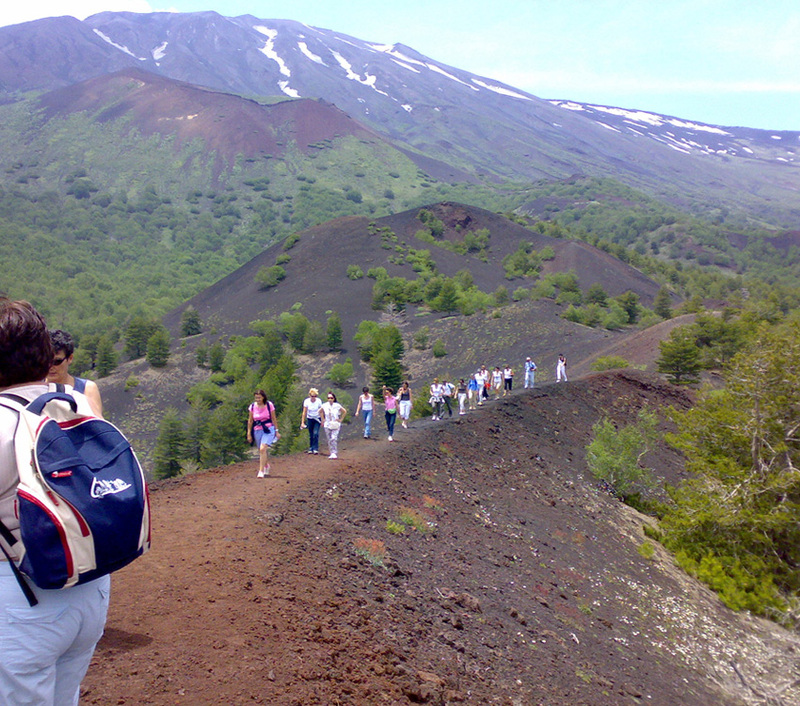 The term derives from English, indicated also with hiking. 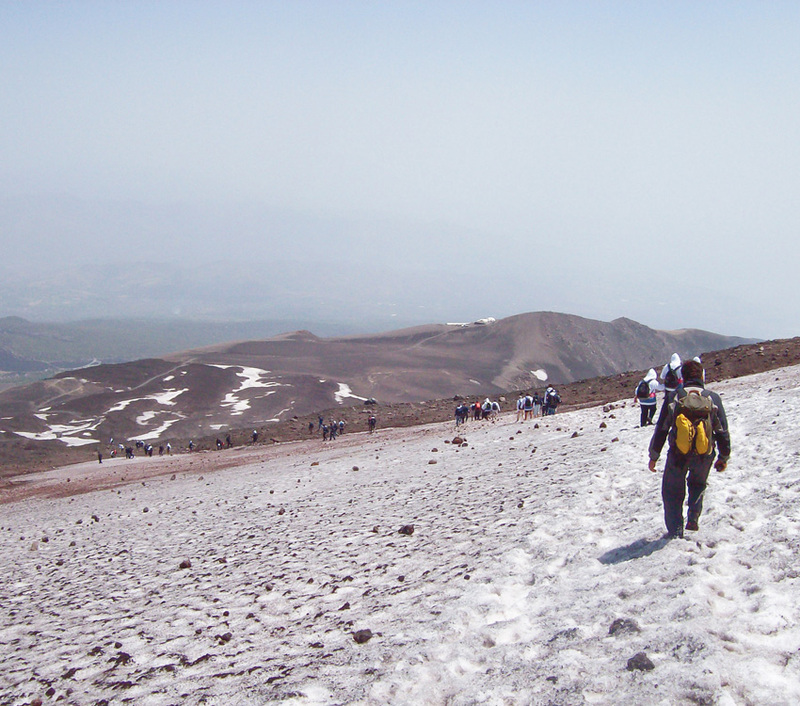 The first drift from the English verb to trek, that it means to slowly walk or also to make a long travel, while the second drift comes from the English verb to hike, that means to walk. 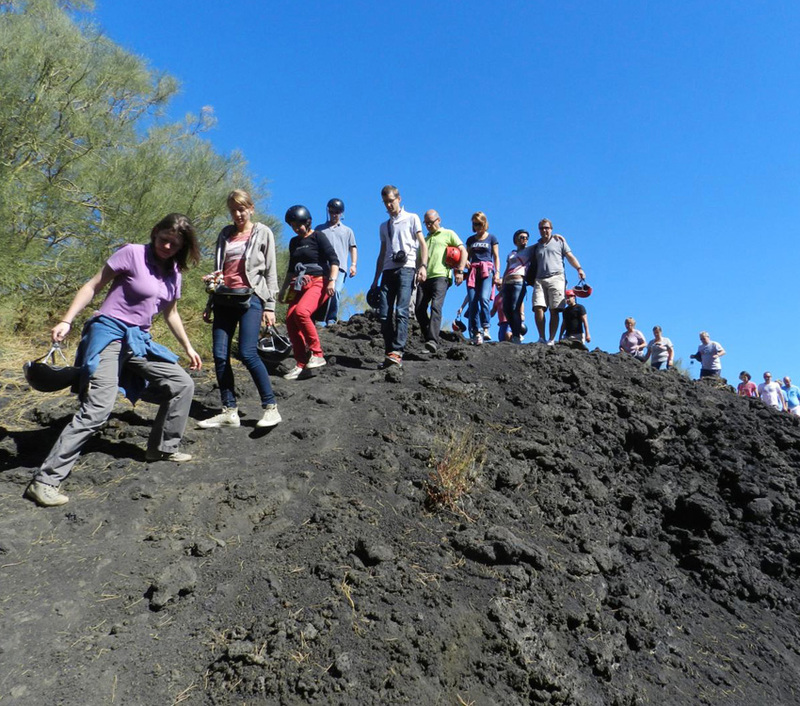 Binding together the activity of trekking or hiking to a day of hiking with our Off-road vehicles, it’s possible to reach areas otherwise not reachable as lava flows, craters, delta of the river Alcantara, archeological sites, ancient rural villages of the Sicilian hinterland. 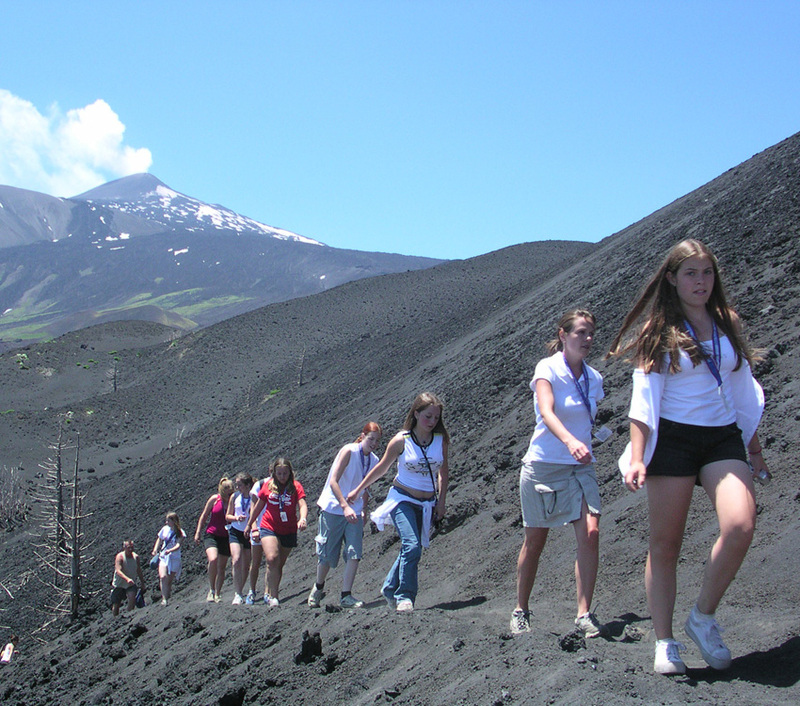 All the paths are however always accompanied from a naturalistic or touristic guide or volcanologist.